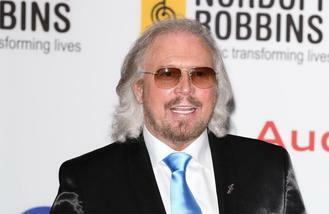 News - Barry Gibb for Glastonbury Festival? Barry Gibb for Glastonbury Festival? The former Bee Gee has reportedly been signed up for the annual festival, which takes place in Somerset, England in June, as part of the legend section on Sunday afternoon, with Jeff Lynne's ELO already confirmed as well. A source said: "The legend slot on the Sunday has become more talked about than the headliners in recent years due to Dolly [Parton] and Lionel [Richie], and the pressure is on Michael [Eavis; organiser] this year. "He wants a repeat of 2008 where he had Neil Diamond and Leonard Cohen booked as a double whammy. Neil was the official legend that year but Leonard blew punters away. "Barry is a music legend and has so many songs that will lift the crowd. Playing the main stage with his disco tunes would be amazing." It is not the first time Barry - who was in the group with his late brothers Robin and Maurice Gibb - has been asked to perform at the coveted festival. The insider added to The Sun newspaper: "He has been asked previously a couple of years ago but Michael has made it his mission to get him to perform this year. Barry's planning a new album for this year and a Glastonbury performance would coincide with that."